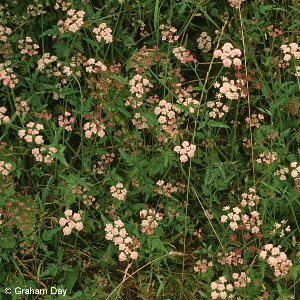 A common umbelliferous species of hedgerows, flowering about July -August. All names: Torilis japonica (Houtt.) DC. ; Torilis anthriscus (L.) C.C.Gmel., non Gaertn. ; Caucalis anthriscus (L.) Huds.